Both smartphones have a similar screen size and the same 720p resolution, so one may expect both screens to be equally sharp. However, Samsung sort of cheated its way into an HD resolution, since pixels in PenTile matrix screens share subpixels between them. 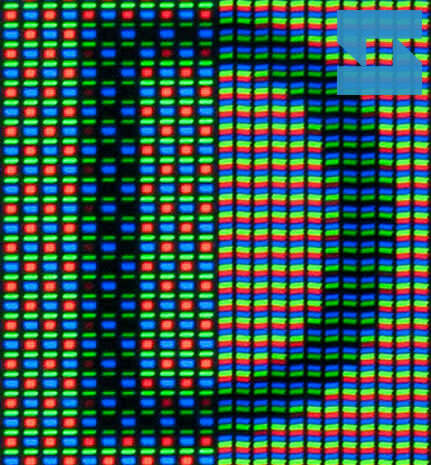 The RGBG PenTile matrix in the Galaxy Nexus has one-third fewer subpixels than the HTC One X RGB screen, where each pixel is made-up of individual red, green and blue subpixels. 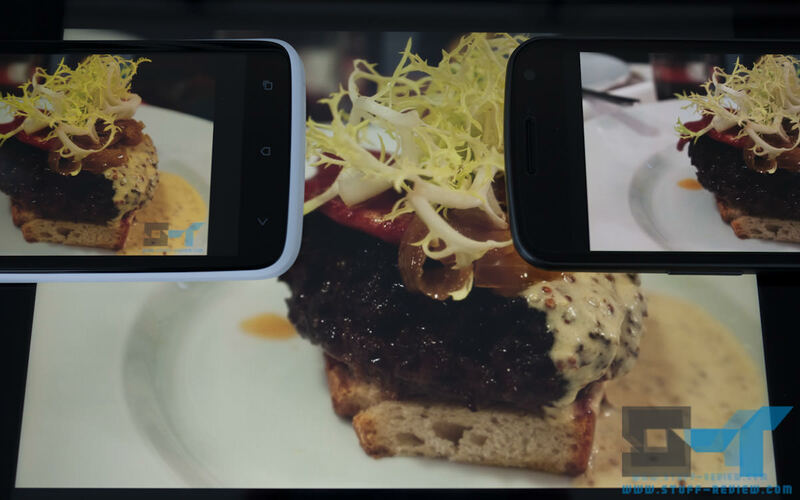 Now don’t get us wrong, the screens in both smartphones are really sharp and looking at them from an arm’s length there is no perceivable difference, however on closer inspection the HTC One X has the advantage here. Super AMOLED screens are infamous for their over-saturated colors and poor color accuracy, so the Galaxy Nexus starts with a pretty large handicap in this section. 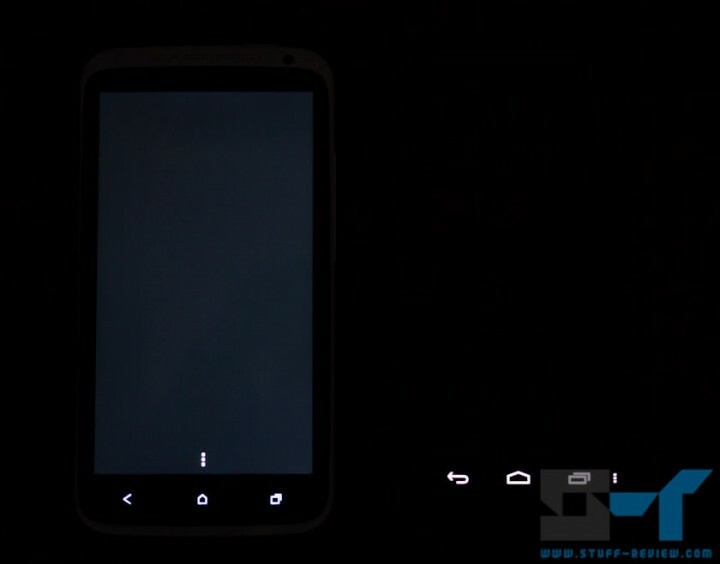 In addition, we’ve also covered the Galaxy Nexus’s yellow tinted screen in great depth. 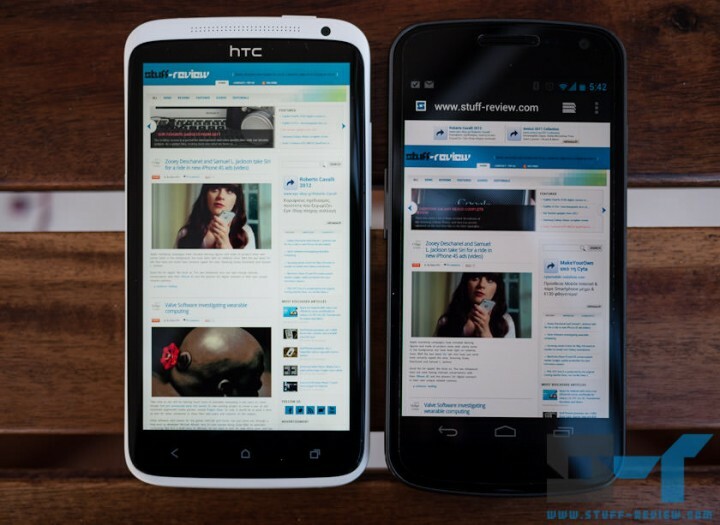 Unfortunately for the Google device, the difference between the two is made even more pronounced by the HTC One X’s blinding whites from an incredibly bright screen (see section below). In fact the One X has slightly cooler whites than even the new iPad. This makes the One X better for reading text and web browsing. 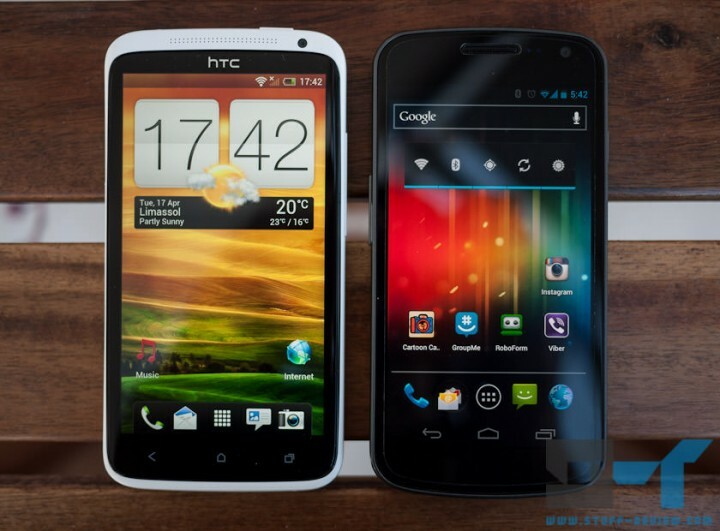 Color accuracy on the HTC One X is ok, IPS LCD screens are known for that, but I would have expected it to be better. At full brightness colors are over-saturated (especially the orange/yellow) in the One X and you have to tone down the brightness for truer colors. Both screens would benefit from better calibration. I was ready to give the One X a clear advantage over the Galaxy Nexus in color accuracy but its only slightly more accurate, both are no competition against the 3rd generation iPad. I’ve grown to consider the new iPad’s display to be close to a reference monitor over the past few weeks and few displays can compete with it in color accuracy. AMOLED screens excel in one thing and that’s in their pure blacks. Because pixels can turn off completely you can get very deep black levels, in contrast to LCD screens whereby there is always a kind of glow from the display. 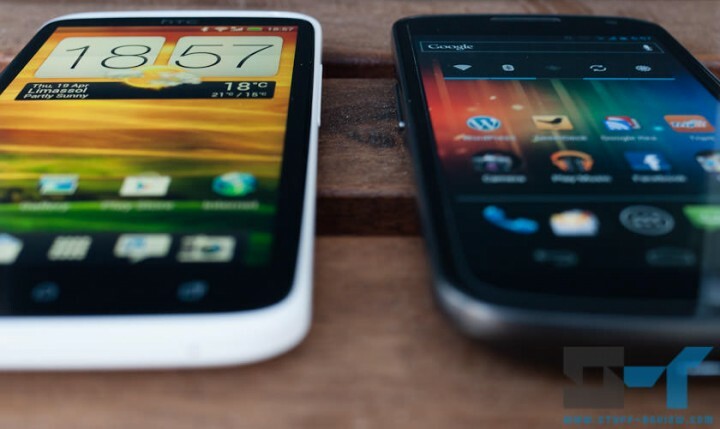 The Galaxy Nexus then is no exception here and where the HTC One X shows a very dark grey the Nexus displays a pitch black — yes in the shot above the Galaxy Nexus’s screen was on. Because of the deep blacks, photographs look more satisfying on the Galaxy Nexus because of the better grey/black graduation. 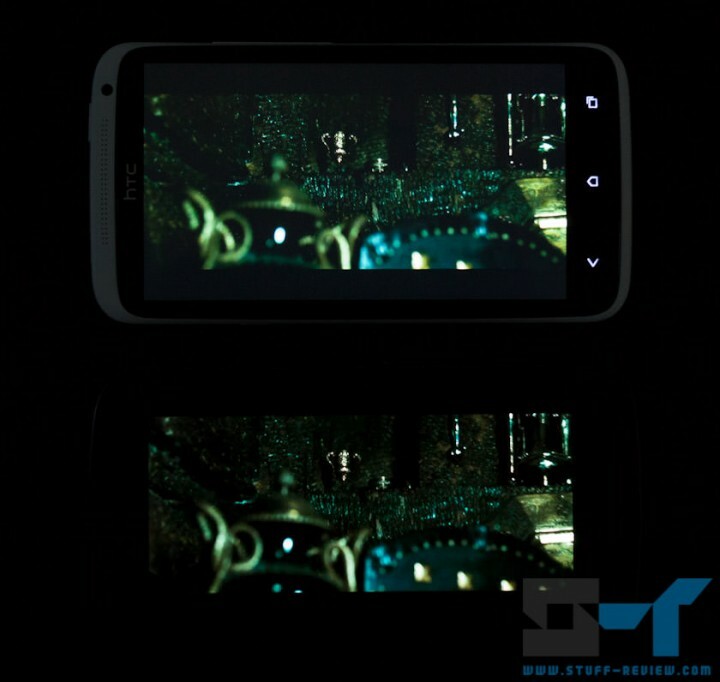 The Galaxy Nexus also has the edge for watching movies, especially those with plenty of dark scenes. 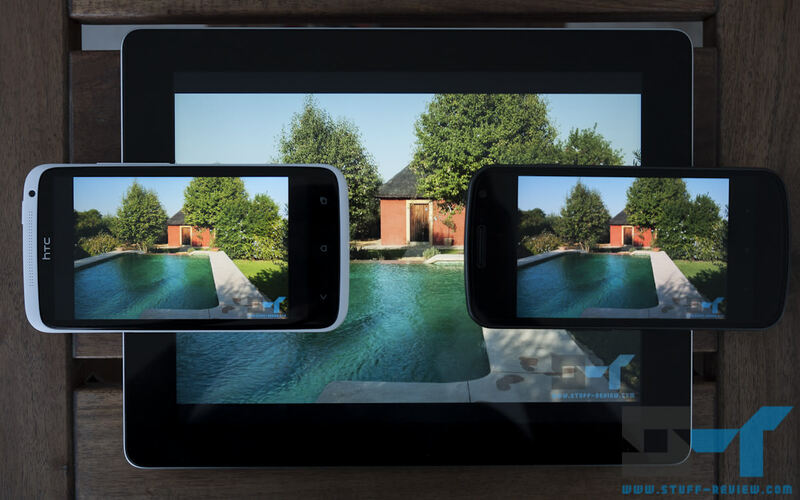 AMOLED screens also have better refresh rates than LCDs benefiting fast-moving scenes. 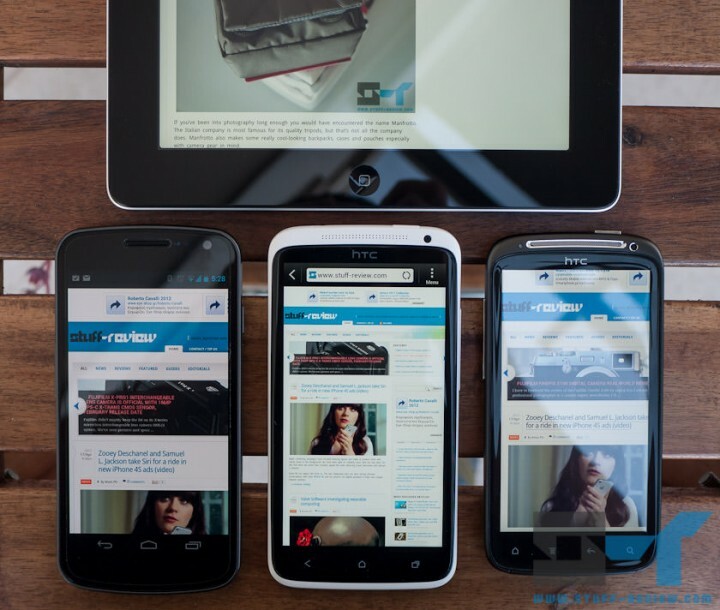 The HTC One X has one of the brightest displays I have ever laid my eyes on in a mobile device. The Galaxy Nexus is generally a dim device, made to look even dimmer next to the One X. In terms of brightness the One X takes top marks, followed by the iPad 3 and the Galaxy Nexus last. Note that the image above, as all images in this article where taken with the devices at full brightness. As for outdoor usage, the One X is perfectly usable, and because the screen is optically laminated to the front glass, which by the way is still the initial version of Corning’s Gorilla Glass, there’s less light refraction than both the Galaxy Nexus and especially the iPad making it easier to read. I would note that all three devices are still viewable even in direct sunlight. All three have shiny, glossy screens that catch reflections, but the iPad with it’s large screen is the worse. Both phones have impossible viewing angles. Anyway you look at both the One X and the Galaxy Nexus you can easily see and read the entire screen. The same situation goes with the new iPad as well. The Galaxy Nexus does have slightly more color shift than the other two but not too significant. Looking at the two smartphones at these angles you can easily see the effect that optical lamination has in the One X; the screen is closer to the glass. Rather than crowning one screen clearly better than the other, we’d rather conclude by mentioning that both smartphone displays have their strengths. 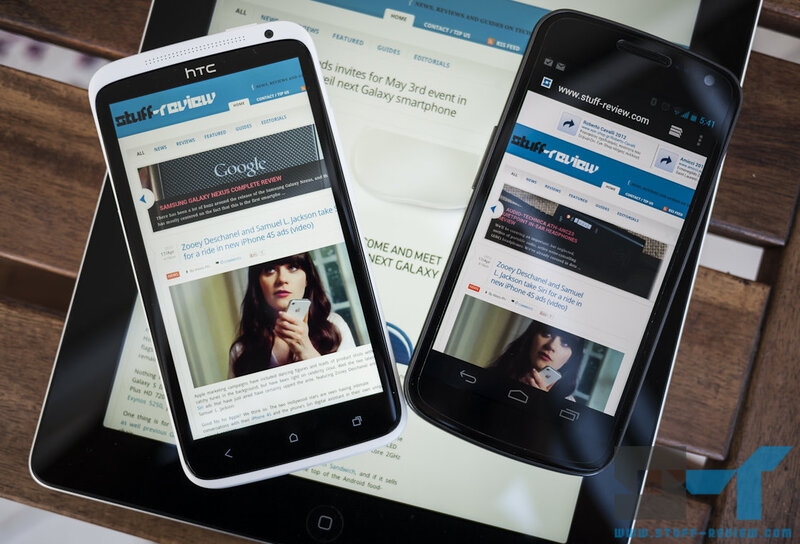 The HTC One X is bright, with blinding whites, but then the Galaxy Nexus has better blacks. It’s a matter of preference. For me the One X has the overall advantage as I rarely use my smartphone to watch movies and prefer cooler over warmer whites. I also like the ability to be able to push brightness as high as with the One X, whenever I am in sunny surroundings. The One X screen also has that unique feeling that it’s floating right at the edge of device. Previous story What are 4K, QFHD and Ultra HD resolutions?